So wrote Friedrich Nietzsch in Beyond Good and Evil, a statement which poses the central question in Michael Connelly’s A Darkness More Than Night. In the course of conducting an unofficial investigation into a murder, former FBI profiler Terry McCaleb comes to believe that LAPD homicide detective Harry Bosch is the doer. Evidence suggests Bosch had the means and opportunity, while Nietzsche’s observation supplies the motive. Here’s the basic problem, though. From the outset of the novel, we know that Bosch has been set up. Not because Connelly suggests as much early on, but simply because with six Bosch novels under our belts, we know that he would not commit this kind of murder. The abyss has not yet gazed into him with that level of intensity. And that presents Connelly with a major problem. Readers approach fiction with a willing suspension of belief. Writers must provide them with ample reasons to keep willing it. When you’re suggesting that the hero of a popular mystery series has done something that readers know he couldn’t have done—and therefore didn’t do—you’re pushing that willing suspension to the breaking point. Connelly is an excellent writer. If anyone could create a plausible story about his hero’s descent into vigilantism, it would be Michael Connelly. Unfortunately, in my opinion, he’s failed to do so. I say that with regret. I enjoy Connelly’s novels immensely. Blood Work, the first McCaleb novel, was excellent, and I look forward to The Narrows. I have written 5-star reviews of the first six installments in the Bosch series, and I will continue reading the remaining fourteen books in the series. Even so, this novel was a disappointment. A necessary link in the chain of Connelly’s Bosch-McCaleb-Haller universe, but a disappointment nonetheless. 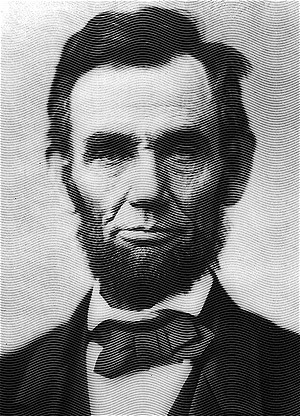 It has seemed to me fit and proper that they should be solemnly, reverently and gratefully acknowledged as with one heart and voice by the whole American people. I do therefore invite my fellow citizens in every part of the United States, and also those who are at sea and those who are sojourning in foreign lands, to set apart and observe the last Thursday of November next, as a day of Thanksgiving and Praise to our beneficent Father who dwelleth in the Heavens. And I recommend to them that while offering up the ascriptions justly due to Him for such singular deliverances and blessings, they do also, with humble penitence for our national perverseness and disobedience, commend to his tender care all those who have become widows, orphans, mourners or sufferers in the lamentable civil strife in which we are unavoidably engaged, and fervently implore the interposition of the Almighty Hand to heal the wounds of the nation and to restore it as soon as may be consistent with the Divine purposes to the full enjoyment of peace, harmony, tranquillity and Union. 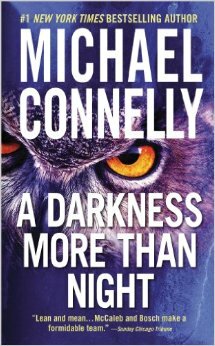 When a prominent African-American criminal defense attorney is murdered in downtown Los Angeles, Harry Bosch get assigned the case. Unfortunately, the primary suspects are elite detectives in the city’s Robbery Homicide Division. The case is a political loser. If he arrests a cop, he loses the respect of his fellow officers. If he doesn’t arrest a cop, the city will erupt in a riot. Oh, and Bosch’s year-old marriage is falling apart. 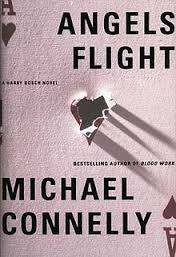 Angels Flight is Michael Connelly’s sixth Harry Bosch novels, and like the previous ones, I couldn’t put it down. Connelly writes a tight, well-paced whodunit. The twists and turns of the investigation keep your eyes glued to the page even as your empathy for the investigator grows because of his personal crisis. You want Bosch to solve the crime and save his marriage. But can he really do both? Connelly has his pulse on the post-Rodney King antipathy between Los Angeles’ black residents and the LAPD. This lends verisimilitude to the novel’s portrait of rogue police officers, race hustlers, and bureaucratic fixers. In the end, everyone gets what they want, though not in the way they expected. Angels Flight is a great read, probably the best of the first six installments in Connelly’s twenty-novel Bosch series. For Christians across the ages, the humanitarian mandate has produced charitable organizations of an enormous variety, from orphanages and schools to hospitals and relief agencies. These organizations express the heart of God the Father for those in crisis, those in in need. The integrity mandate has governed how Christians carried out the humanitarian mandate. Christian theology and Christian ethics provided guidelines for what good should be done, to whom, and how. These two mandates need never come into conflict with one another. In an era characterized by the increased government licensing, regulation, and funding of all manner of activities, they can and do, however. This conflict is the subject of Free to Serve by evangelical Christian activists Stephen V. Monsma and Stanley W. Carlson-Thies. The authors cite, for example, laws in Arizona and Alabama that prohibited people and organizations within those states—including religious organizations—from transporting or housing illegal immigrants. Many churches and religious organizations had been doing precisely that, so they challenged the law in court. For another example, pursuant to a mandate in the Affordable Care Act (aka, “ObamaCare”), the U.S. Department of Health and Human Services issued a rule requiring employee health plans to cover 20 forms of contraception, four of which could have abortifacient effects. Catholic organizations have objections to contraceptives generally, and evangelical Protestant organizations have objections to abortifacients specifically, so they challenged this rule in court. A final example: Many campus religious organizations require members and leaders to affirm the doctrinal and ethical standards of their specific faith. One cannot be an atheist and leader of a Christian student organization. Unfortunately, in an attempt to promote nondiscrimination, some public colleges and university systems have ruled that, actually, you can be. Every campus organization must be open to all…except fraternities, sororities, and sports team, of course. Campus religious organizations have challenged these rules in court. The United States has a variety of legal protections for religious individuals and organizations. The First Amendment to the Constitution states: “Congress shall make no law respecting an establishment of religion, or prohibiting the free exercise thereof…” The Religious Freedom Restoration Act holds that a generally applicable law can infringe on a sincerely held religious belief only if doing so accomplishes a compelling governmental interest through the least restrictive means. There are other statutory protections as well, both at the federal and state levels. Despite these, state and federal courts have not always protected the religious freedom of individuals and organizations. Federal Courts have upheld the constitutionality of so-called “all comers” policies on college and university campuses, policies that prohibit campus religious organizations from requiring affirmation of a religion’s doctrine and ethics. State courts have ruled that the government can require faith-based adoption and foster care agencies to place children in the homes of married homosexuals and cohabiting heterosexuals, despite those organization’s longstanding, sincere, doctrinal commitment to marriage as a monogamous heterosexual institution. On the bright side, the U.S. Supreme Court ruled that Hobby Lobby, a closely held, for-profit business owned by religious persons is exempt from the so-called “contraceptive mandate” issued by HHS. On the other hand, the same right of religious colleges and universities (Notre Dame, Wheaton, etc.) is still being litigated. To this list, I would add the increasing governmental involvement in aspects of life it had left alone previously. In my opinion, the larger government grows, the larger its ability to interfere with the rights of the people—including their religious rights—grows. The authors do not delve into this topic, however. All human beings are morally responsible, free individuals who possess human dignity and certain fundamental rights, the most basic of which is freedom of religion. Although human beings are individuals, with individual rights and responsibilities, human beings are also social beings. For a society to be truly free its government must not prevents its members from being able to create and sustain nongovernmental organizations that are based on and reflect their members’ deeply held beliefs. Just as government should not attempt to dominate or control society’s organizations and their members, neither should one organization seek to dominate or control other organizations or individuals. Under principled pluralism, the government could partner with religious organizations to accomplish humanitarian ends without requiring those organizations to sacrifice their doctrinal or ethical integrity. Religious organizations would be able to tailor health-care plans to conform to longstanding doctrine. Campus religious organizations would be able to require doctrinal and ethical affirmations of its leaders. That is what makes principled pluralism such an attractive option for some. America is a diverse country, and principled pluralism offers a way for diverse religious and nonreligious groups to access public resources on an equal footing. Still, I have my doubts. Pluralism must give way to principle on some issues. Monsma and Carlson-Thies cite abortion as one of those exceptions. It is a long-settled principle of American jurisprudence that race is another. No wonder, then, that LGBT groups analogize sexual orientation to race, and Christians resist the analogy. Some principles admit of no exceptions. In those cases, one can be principled or pluralist, but not both. 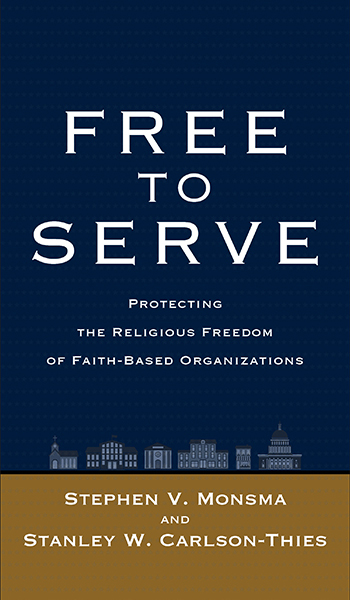 Even with this criticism of the book, Free to Serve is an interesting, thought-provoking book about an important topic. You will learn from its diagnosis even if you disagree with its prescription in the end. I myself am not wholly convinced, though I wholly support the book’s ultimate goal of supporting an integral Christian humanitarianism. For once, I agree with Planned Parenthood. I simply would like to point out that it denies this opportunity to the babies it aborts. The Bible both assumes and articulates a supernatural worldview. From the “In the beginning” of Genesis to the “Amen” of Revelation, mention of God and divine action is heard on each page. All Bible-believing Christians are thus supernaturalists. Modernity assumes and articulates a worldview of naturalism. In this view worldview, reality is a closed nexus of material cause and effect. No God transcends this nexus nor intervenes within it. The story of the Bible is about God’s will for, and rule of, the realms he has created, visible and invisible, through the imagers he has created, human and nonhuman. This divine agenda is played out in both realms, in deliberate tandem. Heiser is Scholar-in-Residence at Faithlife, the parent company of Logos Bible Software. He has an MA in Hebrew Studies and a PhD in Hebrew Bible and Semitic Languages from the University of Wisconsin-Madison. The topic of his dissertation was, “The Divine Council in Late Canonical and Non-Canonical Second Temple Jewish Literature,” a topic of importance to the book. Psalm 82:1 sparked Heiser’s interest in the unseen realm. “God has taken his place in the divine council; in the midst of the gods he holds judgment…” (ESV). The English words God and gods translate the same Hebrew word, elohim. “The singular elohim of Israel presides over an assembly of elohim,” Heiser writes. The Old Testament…describes a world where cosmic-geographical lines have been drawn. Israel was holy ground because it was Yahweh’s “inheritance,” in the language of Deuteronomy 32:8–9. The territory of other nations belonged to other elohim because Yahweh had decreed it. Psalm 82 told us that these lesser elohim were corrupt. We aren’t told how the elohim Yahweh assigned to the nations became corrupt, only that they were. It is clear from Deuteronomy 4:19–20; 17:3; 29:25; and 32:17 that these elohim were illegitimate for Israelite worship. 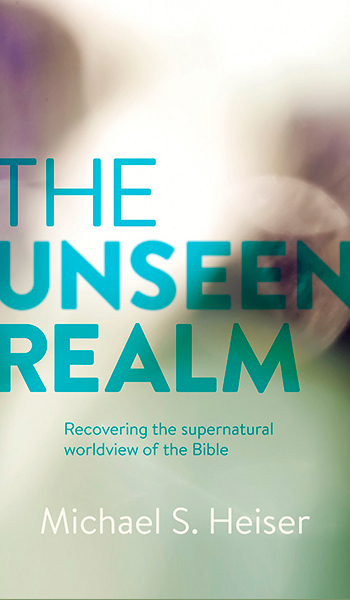 The Unseen Realm traces these divine-council and cosmic-geography themes throughout Scripture, largely following the biblical narrative of creation, fall, redemption, and glorification. Heiser uses this supernatural worldview to explain features of the biblical text that leave readers scratching their heads—for example, the Nephilim of Genesis 6:1–4, the “angel of the Lord” in the Pentateuch, the pattern of destruction in Joshua’s conquest of Caanan, the “prince of the kingdom of Persia” and “Michael” in Daniel 10, the “Son of Man” sayings in the Synoptic Gospels, Paul’s reference to “cosmic powers” and “spiritual forces” in Ephesians 6, the “harmagedon” (i.e., Armageddon) of Revelation 6, among many others. In any book covering as much biblical territory as Heiser’s does, readers will find interpretations of specific passages they disagree with. Not everyone—neither scholar nor layperson—will agree with every jot and tittle of Heiser’s argument. Nonetheless, as a whole, Heiser’s thick description of the biblical worldview is both exegetically interesting and spiritually suggestive. The Unseen Realm is an eye-opening book. Once you see the Bible as Michael Heiser sees it, you will find it difficult to un-see it that way. If it helps you better understand Heiser’s point, think of the elohim (“gods”) as angels of varying ranks. Doing so reinforces the theological distinction between God and his spiritual creations. Unfortunately, given how many Christians think of angels (as fat little babies with wings), it minimizes the power Scripture attributes to those beings, as well as the depths of the conflict between God and the Church, on one side, and the fallen elohim on the other. Which brings us to the second question: Is Heiser talking about strategic-level spiritual warfare? This practice, popular in some Pentecostal and charismatic circles, focuses on taking dominion over “territorial spirits” through prayer. My guess is that advocates of this form of spiritual warfare use Heiser’s research to buttress their distinctive practices. If I read Heiser correctly, however, the answer once again is no. Heiser’s book explicates the divine council worldview in terms of mainstream biblical scholarship. It does not articulate a practical theology of spiritual warfare. At the outset of the book, in fact, Heiser agrees in part with the suspicion that “charismatic practices are detached from sound exegesis of Scripture.” He does not specify which practices he’s talking about. As a Pentecostal, I’d argue that at least some practices (e.g., speaking in tongues, contemporary prophecy) have explicit biblical warrant. I’d also argue, however, that strategic-level spiritual warfare doesn’t have biblical warrant, even if it is partially correct about territorial spirits. The answer to these questions leads me to the following assessment of The Unseen Realm. It is an insightful book that has caused me to look at the Bible in a new way, one with tremendous explanatory power. But at a practical level, I’m not sure what to do with it. And beyond reading the Bible in its original context rather than our modern context, I’m not sure Heiser does either. What is needed is a practical theology of spiritual formation that incorporates legitimate insights about the Bible’s supernatural worldview without engaging in strategic-level spiritual warfare’s flights of exegetical fancy. The Unseen Realm is not that book—by authorial design, but it is still a thought-provoking book, well worth reading. P.P.S. Heiser has penned a shorter paperback on the same topic. Check out Supernatural: What the Bible Teaches about the Unseen World and Why It Matters (Paperback | Kindle). 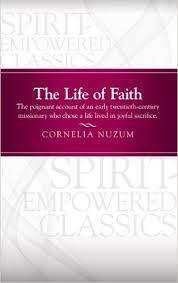 The Life of Faith by Cornelia Nuzum is worth reading for historical and spiritual reasons. As a matter of history, it reflects the emphasis on faith that characterized the first generation of Pentecostals. That faith confidently proclaimed that the believer was heir to the promises God had fulfilled through Jesus Christ in the power of the Holy Spirit. Those promises touched on all aspects of life: salvation, sanctification, spiritual empowerment for mission, and healing. Quoting Galatians 3:13, Nuzum writes: “‘Christ hath redeemed us from the curse,’ all of it, not some, nor even much of it, but all of it.” This confident faith in Jesus Christ as Savior, Healer, Spirit-Baptizer, and soon-coming King continues to characterize Pentecostalism today, and it partly explains the rapid and extensive growth of Pentecostalism throughout the world. My tongue cannot express the greatness of mydeliverance, but my heart goes out to my great Deliverer in adoration, worship, praise, loyalty, and thanksgiving. Who would not desire to be fully yielded to such an almighty, gracious loving One? My desire is to be one with Jesus in all things. How far we come short of this! How sweet are the words, “Conformed to the image of Christ.” Oh, to so live that we may not hinder God, but let Him do this for each one of us. Some may read this little book and question its emphasis on healing. I understand their questions. As a person with a chronic illness, I struggle with why Christ has not healed me yet, despite my faith. But when I read Nuzum’s words, I am reminded that the most important thing is to be conformed to the image of Christ. Oh, that you and I may so live that we do not hinder God from conforming us to His Son! That is the true and lasting life of faith.